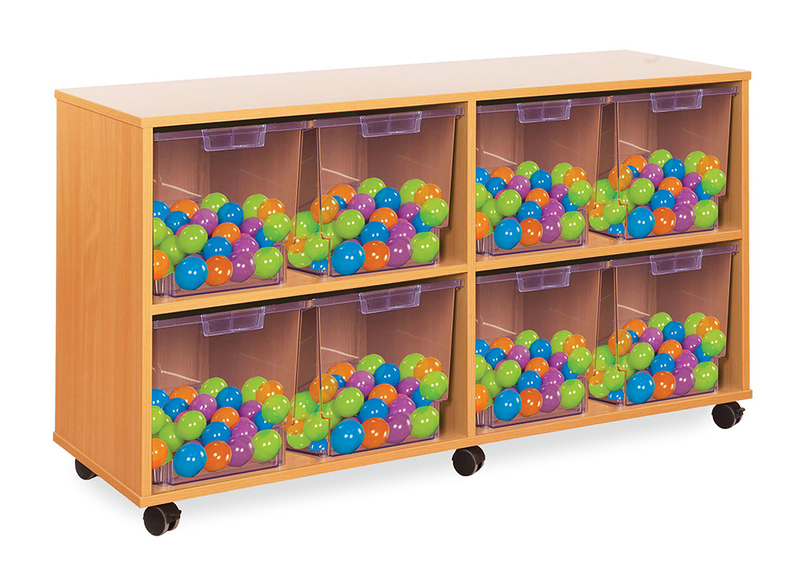 This Crystal Clear classroom tray storage unit is available with 8, 12 or16 jumbo Certwood trays. 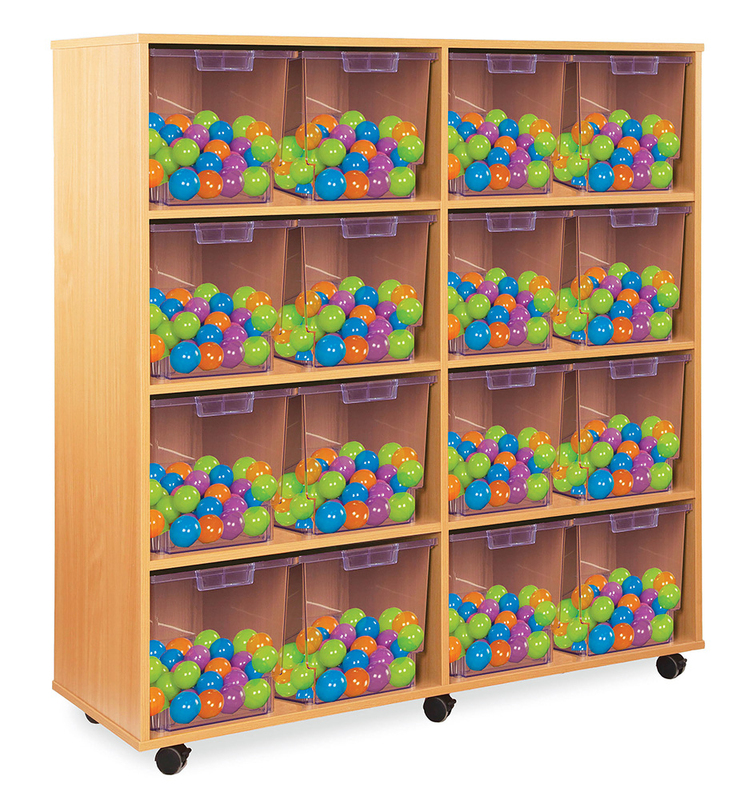 The jumbo tray school storage unit is constructed from 18mm durable MFC in a modern beech finish and supplied with shatterproof, high impact Certwood crystal clear jumbo trays. Complete with easy glide castor wheels for smooth and easy mobility. 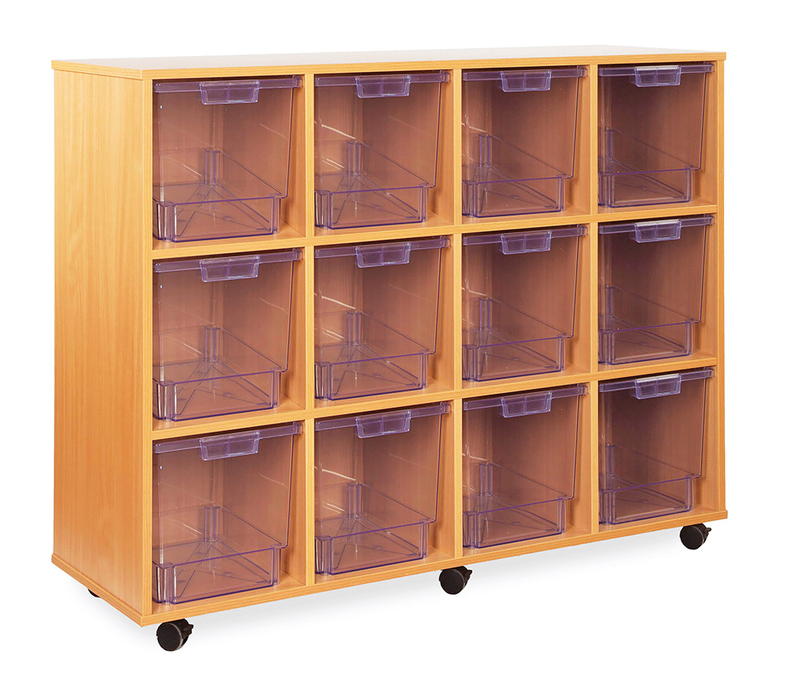 Designed for use within schools, pre-schools and nurseries for storing away everyday classroom materials. Also available in the Crystal Clear range: shallow tray storage, deep tray storage and variety tray storage. Please note: the toys featured in the product images are not included. For more information please Contact Us or call us on 01733 511121.